Are you searching for an auto repair shop in the Holmen area to service your Chrysler? Then the auto repair specialists at Cordell’s Automotive invite you to come in and “kick the tires” of our excellent customer service. Our auto repair technicians here at Cordell’s are passionate about servicing all kinds of vehicles, and they take a special interest in Chryslers. From Chrysler sedans to minivans, the auto mechanics at Cordell’s Automotive in Holmen have you covered. 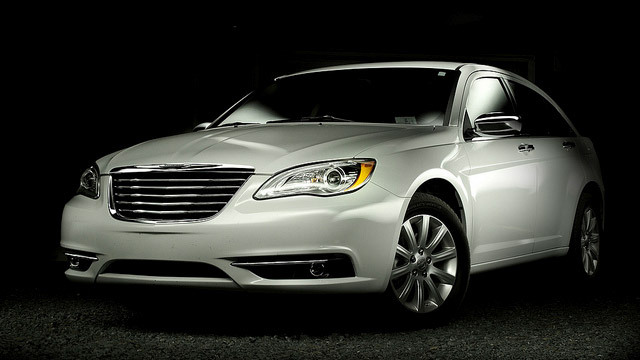 We know that you depend upon that Chrysler to get you to work, to your home, and every place in between. You don’t want to think about your Chrysler’s dependability--you just want it to start when you get in it, and go when your foot pushes down on the gas pedal. At Cordell’s Automotive, we stand behind the Holmen community. Our 3-year/36,000-mile warranty is designed to give you peace of mind. Our cozy, clean waiting room is there in case you are at Cordell’s Automotive for something quick, like an oil change. By the way, we use full synthetic oil. We have six month, no-interest financing so you don’t get hit with a big bill all at once. Also, for your convenience, we have free loaners as well as local pickup and delivery service. We’d love to work on your Chrysler. Schedule an appointment today. Cordell’s Automotive is located at 300 South Holmen Drive, Holmen, WI, 54636. Our hours are 7:00 AM - 5:30 PM, Monday - Friday. We also service the communities of La Crosse, Onalaska, and Trempealeau.